The game of musical chairs is being played again. Bridgeport (AP) -- Hearst Corp. has purchased the Connecticut Post in Bridgeport and seven weekly newspapers in the state from MediaNews Group Inc. The weeklies that Hearst acquired are the Darien News-Review, Greenwich Citizen, Fairfield Citizen-News, New Canaan News-Review, New Milford Spectrum, Norwalk Citizen-News and Westport News. With the acquisition, Hearst also assumes management of three daily newspapers in Fairfield County: The Advocate of Stamford, Greenwich Time and The News-Times of Danbury. What will this mean for the News-Times? Hearst is a totally different outfit from MediaNews Group so expect to see some changes. As for their on-line content, all the newspapers in the MediaNews family basically had the same format and look so you might see changes in the layout of the News-Times online edition as well. Whatever the case, lets just say that there's no love lost between bloggers and the shameless MediaNews Group for obvious reasons and I'll take anything other than that company in Connecticut. 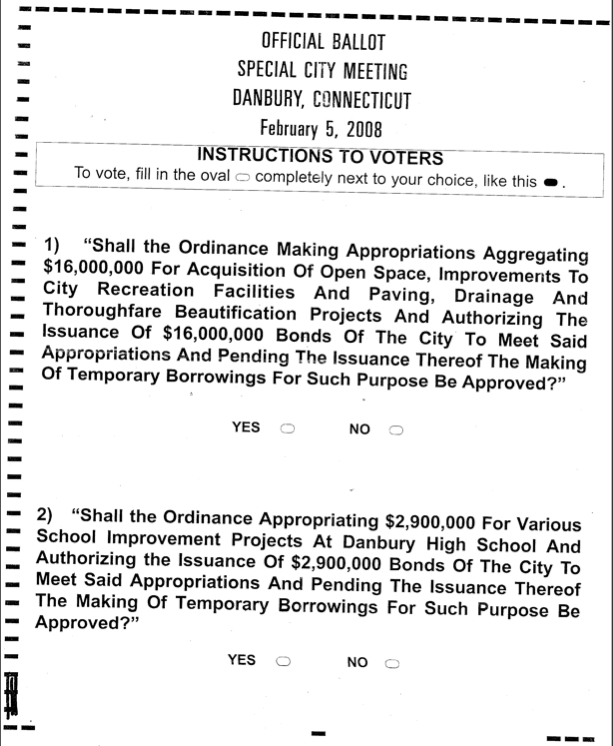 The question that should be on the minds of many in Danbury is what does this mean for the News-Times? Will Hearst close up the shop and flood Danbury with copies of the Connecticut Post or will Hearst invest in the Danbury paper and maybe hire back the people that MediaNews let go? What happens to the New Milford Spectrum? Is Jean Natale losing it? There is no other way to explain it...City Clerk Jean Natale is losing her mind. That's the only way to described what she allegedly did Monday night before the Democratic Caucus. You see, since shining the spotlight on the City Clerk's activities during the day (which has NOTHING to do with the office of City Clerk) and actively campaigning to eliminate the position of City Clerk and replacing it with a civil service staff, Natale has been quite vocal in her displeasure with yours truly as well as her critics. According to sources at City Hall who were on hand when it all went down, it's alleged that on Monday our lovely City Clerk got into a embarrassingly heated exchange with Lynn Waller right before the Democrats started their caucus. With Natale doing most of the yelling, our City Clerk voiced her anger at the host of In Our Opinion over the testimony Waller provided to the Charter Commission...most notable Waller's CORRECT statement that Natale CAN NOT BE FOUND IN HER OFFICE. One must question the wisdom of an elected official who would fly off the handle but with Jean's short temper anything is possible. 1. Allegedly got into a heated exchange with a reporter of the News-Times over the fact that the reporter requested a copy of the Common Council agenda and Natale refused because the docket wasn't delivered to the members of the council yet (which is irrelevant according to the Freedom of Information). 2. Got into a heated exchange with yours truly (with her doing all the yelling) about her standing next to a racist skinhead who held a five to six foot long TOTALLY VISIBLE "Speak English or Die" sign. 3. The same City Clerk who allegedly had some not very nice words about Ivon Alcime, host of Ideas at Work and Beyond who did a two part show on the City Clerk. Well, after showing the public the results of my numerous Freedom of Information requests as well as my rather intense investigation, lets just say that our City Clerk will really lose her mind as the drum beat in the elimination of that unnecessary elected position will increase tremendously. If you're not doing anything tonight, come on down to City Hall where I'll be doing something VERY, VERY rare...offering testimony to the Planning Commission against the planned development of a god-awful hotel proposal on Prindle Lane. I think my presentation shed light on the traffic problems on Mill Plain road as well as the flow of traffic on the intersection of Aunt Hack and Mill Plain. It was a pleasure to help out the residents who live on Aunt Hack in bringing attention to the traffic difficulties along that part of Danbury. In my personal opinion, I do not think the "traffic improvements" presented by the applicants (such as adding a stripe on the road) will improve the flow of traffic on that stretch of Mill Plain simply because the current flow of traffic is based largely as if there is already a extra stripe on the road. Okay, for those who have no idea what the hell I'm talking about, I'm in the process of doing a full write-up on the proposal to build a hotel on Prindle Lane and the opposition from residents who are concerned with the INSANE level of traffic in that area later. For those who came up to thank me last night...there is no need to thank me...the thanks should go to you for coming out and speaking up against the irresponsible development and lack of attention from the city and state which has resulted in the current traffic nightmare in your neighborhood. 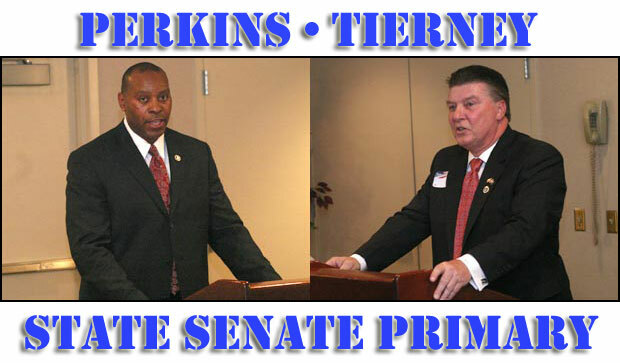 With less than a week to go until the primary, Democratic State Senate candidates Duane Perkins and Terry Tierney are hitting the airwaves. Wisely taking advantage of the Olympics, the Perkins campaign released a very impressive new TV ad entitled "Fresh Ideas, New Energy" which is set to be broadcast on Comcast over the next few days. The Perkins campaign for State Senate released its first campaign commercial being shown for the Democratic primary on August 12th. The spot dubbed, “Fresh Ideas, New Energy” which is also Duane Perkins’ campaign theme is the title of the ad and it will be shown on a number of cable stations starting Wednesday, August 6th and through the day of the primary. Terry Tierney is scheduled to be a guest on the local access show live call-in show "Ideas at Work and Beyond" (which will broadcasted live on the internet). Tierney will answer viewer's question about his campaign, outline his platform, and explain why he feels he's the better candidate to challenge Republican Mike McLaughlin. Boy oh boy...what ever happened to the tough economic times. If you're not doing anything tonight, come to tonight's Common Council meeting and watch the shameless mayor and the Republican majority recklessly spend your taxpayer's dollars, pull one of the largest screw-jobs in recent memory, and do a hysterical flip-flop that will leave you in stitches. ...if anything, you can come out and watch the greatest symbol of eliminating the position of City Clerk watching the train wreck named Jean Natale in person is worth taking the trip to City Hall alone. You should be upset...VERY upset at the incredible display of wasteful spending that will be on display tonight by those who can lie right to your face without a hint of remorse. For the next installment in my Campaign Spotlight series, I decided to take a break from the state races and focus my attention on one of the Democratic Congressional candidates running for re-election: Congressman Chris Murphy. 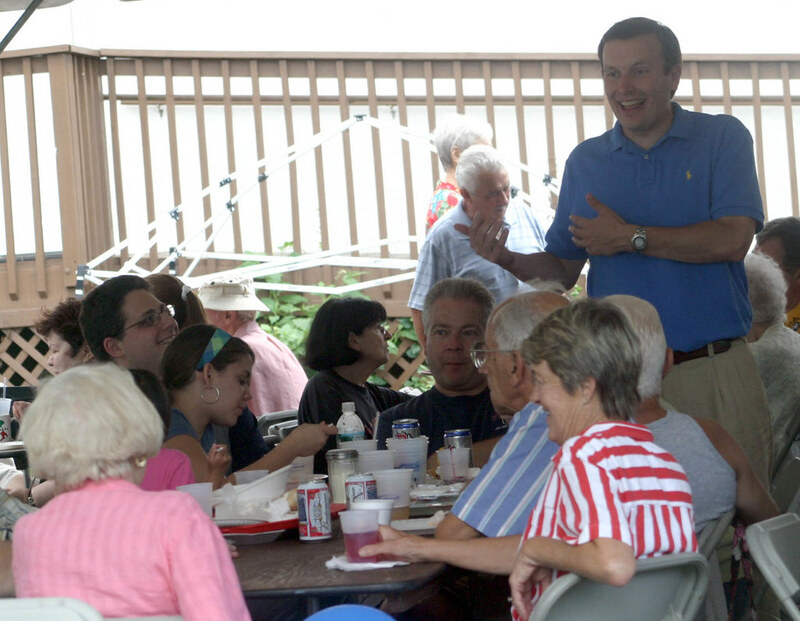 At the Italian festival in Danbury this weekend, I caught up with the freshman Congressman before he met with the public and asked for his take on two issues that are receiving a great deal of attention across the country, the rising cost of energy and the foreclosure crisis as well as getting his thoughts on his re-election campaign. You can access Congressman Murphy's campaign website by clicking here. What does the following image and the City Clerk Jean Natale have in common? 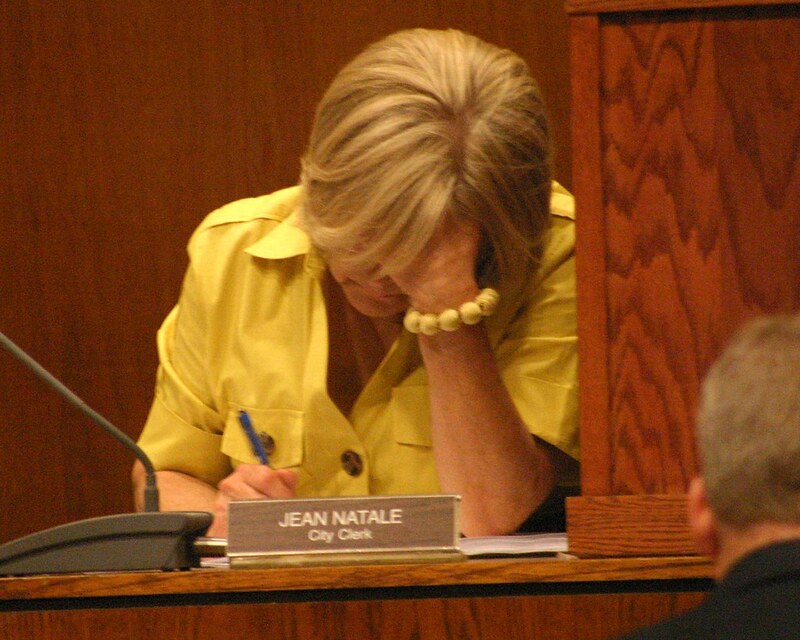 What do the numbers 98, 89, 9 and City Clerk Jean Natale have in common?